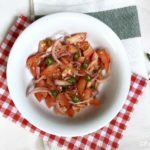 This Sri Lankan beetroot salad will add your meal vibrant colours and crunchy delicious taste even if you are not a Sri Lankan. 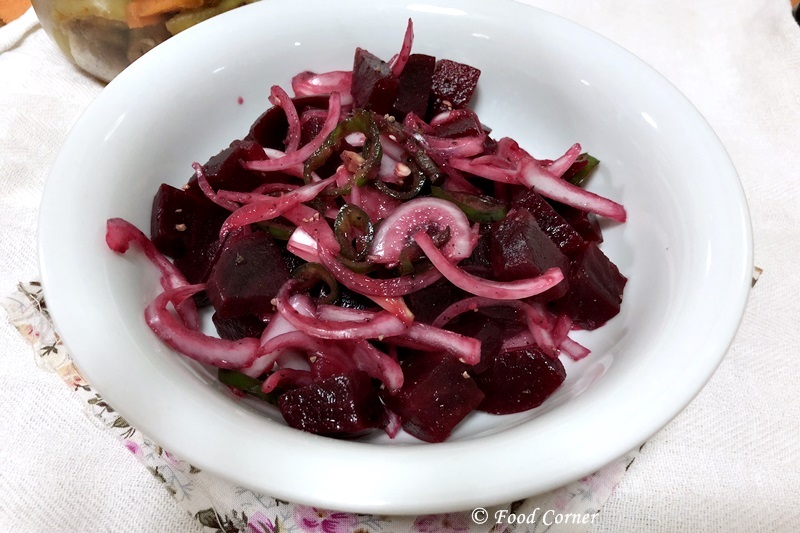 If you love salad recipes, then you will love this beet salad too. 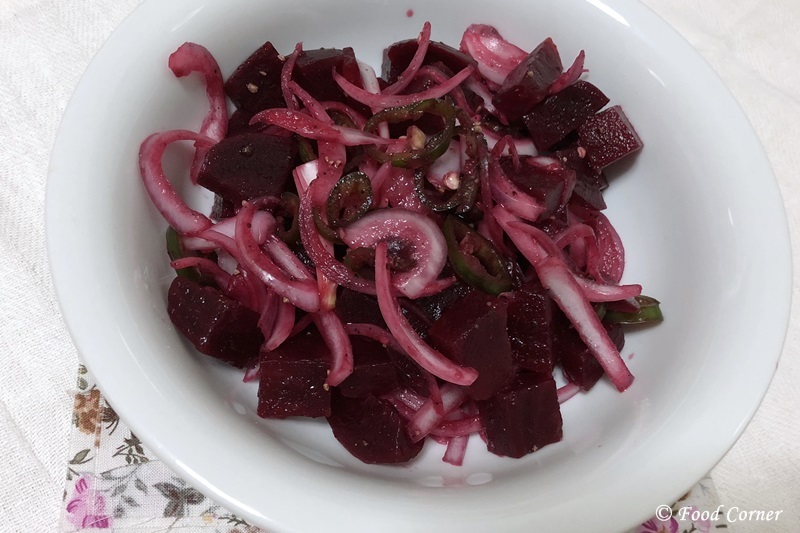 Beet salad or beetroot salad is another popular healthy salad from Sri Lanka same as this carrot salad and cucumber salad. These salads are easy to prepare and require really few ingredients. 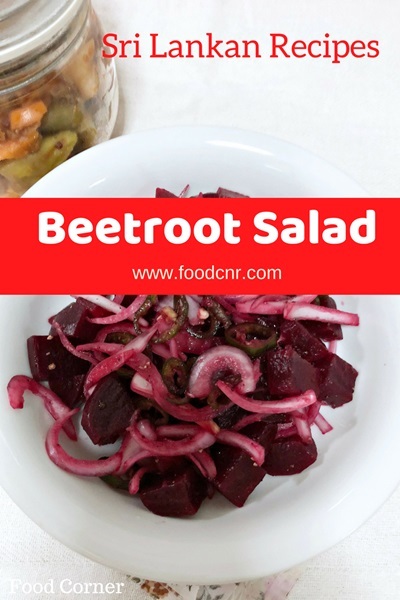 While beet is good as a curry too, with its vibrant red colour it is also good in a salad with a mix of onion and green chili. 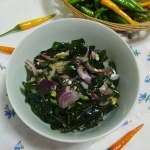 For the salad dressing, it only requires lime juice, salt and black pepper. Anyway, unlike most of the raw vegetable salads, this beet salad is done using boiled and cubed beet. 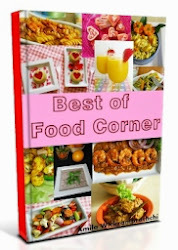 The method of preparation is almost similar to this carrot salad recipe. 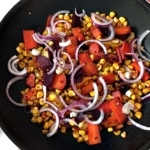 Below is the easy steps on making this Sri Lankan Beetroot salad. 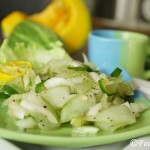 If you like vegetables and different salad recipes, this salad will sure be a hit! Wash the beet and boil in water with its skin (about 10-15 minutes). 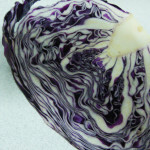 Once the beet is boiled, put it in a bowl of cold water till it come to room temperature. Meantime, wash, remove skins and slice onions. Also slice the green chilies. Once the boiled beet is cool enough, remove the skin. Cut it into bite size cubes. In a bowl, mix all ingredients with lime juice. Adjust salt as per taste. A colourful, healthy and delicious beet salad is ready to serve with plain rice and other sides. 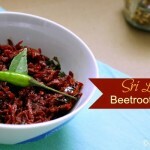 If you try this Sri Lankan beetroot salad recipe, don’t forget to leave me a comment. 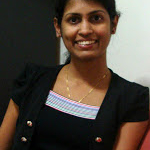 I’d like to hear your food experiences too.